There are acupuncture and moxibustion as means of stimulation, how can we consider the choice of use such therapeutic mehods? 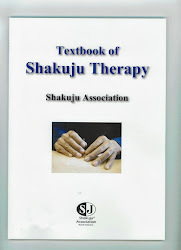 Is it simply depending on the preferance of patients, or the skill of the therapist to choose needling or moxibustion? First, taking account of how to give stimulation to the patient's body, what can give the lightest stimulation during the certain period is needling. This indicates the technique such as contact needling and the usage of a Teishin needle. It is impossible for moxibustion to move qi only with the slight stimulation like such needling. Additionally, on the other hand, if one uses a big stainless needle or a three-edged neele, one can give the strong stimulation to the patient as well. If one would like to give the most strong stimulation, needling is the more suitable method. As the amount of the stimulation, moxibustion as the therapeutic method is not as variable as needling. In addition, one cannot perform the treatment, taking the body as a plane with the point moxibustion method, not like contact needling. What is the difference between needling and moxibustion in terms of the effects of the human body then? Needling is what has the normalizing effect to the response of the human body by contacting a needle as a foreign substance to the body (sometimes by damaging the tissues). On the other hand, moxibustion expects the similar effect by applying the heat to the human body from the outside (similarly sometimes by giving the damage as a burn to the tissues). What is common between these two is that both of them cause the heat in the human body after applying the certain amount of stimulation. However, the moxibustion is what brings to the effect of heat by adding the heat from the outside, so if the patient's body cannot have the power to accept it, ie. the power to consuming the given amount of heat, the heat ends up staying inside of the body, sometimes it leads to the fever or eczema. In such cases, the moxibustion is not appropriate. Moxibustion is not suitable for the patients whose condition of the body is too weak.